Set within the deep desert landscapes of rural Rajasthan, is the poetic tale of The Song Of Scorpions. 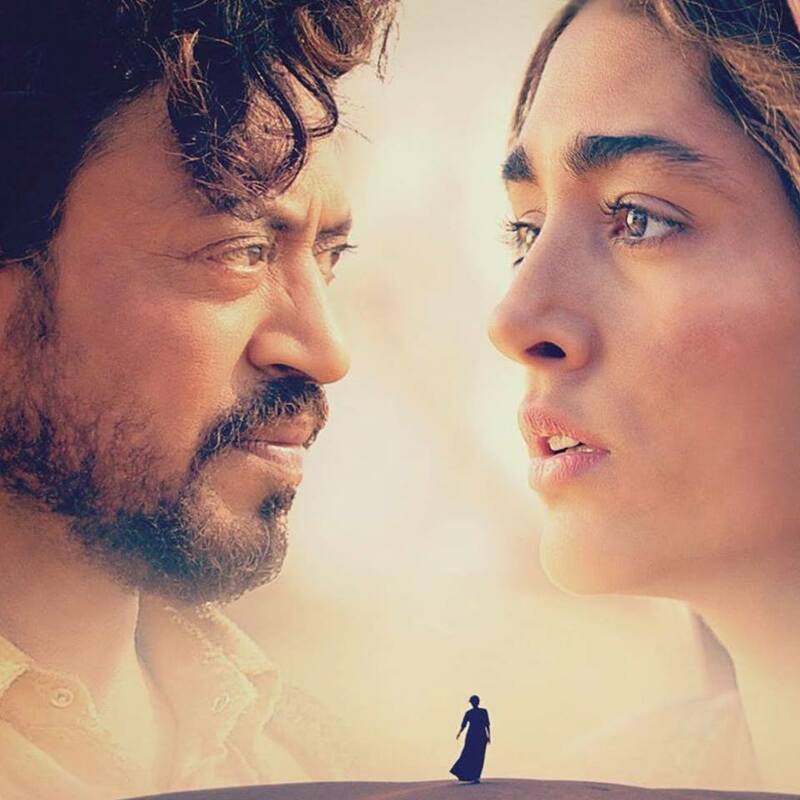 Starring Irrfan Khan and Golshifteh Farahani (About Elly) and with a cameo by the legendary actress Waheeda Rehman, this Anup Singh directed film is being showcased at the London Indian Film Festival. In a brilliant and inspiring conversation, Mr. Singh talks about the creation of this beautiful film, working with Irrfan Khan, and, more than anything, leaves you with some beauty for the world. In the last 10-15 years there has been a growing violence against women in India of quite a horrific kind. When I was shooting my last film, Qissa, there was an attack on a woman on a public bus in Delhi. It was such a brutal and violent attack that I think it had a devastating effect on the whole nation. At that time, I was just completing my film, and my frustration, my anger, my rage at what happened did find some space in Qissa, but I held a lot back of how I felt. After I finished that film, I came back home really exhausted and I think it had a lot to do with that exhaustion. I went to bed and suddenly woke up at 3 am with various images that I had dreamed. You know, in dreams you don’t have cause and effect, really. These were just flickering images of a woman walking away into a deep desert, a man half buried in sand, a shawl fluttering in the wind in the desert, and the shawl had caught fire. I could hear a kind of humming – almost a kind of song in my dream. I woke up and I felt as if these images were saying something to me. I immediately started writing, and by about 10 am in the morning I had a very rough first draft of the script. Obviously, it was so much that I had retained from what had happened from years earlier. There was such a rage that I was carrying that it had to find its form somehow. But because this was a dream, I let the dream speak to me, and did not worry too much about the usual cause and effect in most films, where one cause leads into an effect and how the effect leads to another cause. I didn’t work it out so rationally. I just left the dream take me where it would. Simply speaking it is about a woman who has been harmed and was harmed by the person she is slowly beginning to love and trust. When she finds out she has been betrayed by this man, who is in fact deeply in love with her, except he doesn’t know the right way to express himself, the first thing that she does is she chooses to avenge herself. Only slowly does she realize that perhaps an eye for an eye is not what she is made for. She is, after all, a Shaman. She is a woman who has been learning for years to sing to heal rather than sing to destroy. So, finally at the end she chooses to let the man live, but of course by letting him live – his punishment is even harsher because he has to live with what he has done. For me, that really was the tale. I was hoping that we, as human beings have grown enough and have matured enough that we do not need to seek to destroy the other and always avenge ourselves in such a cruel and a violent way. Perhaps, we can reach out to the other and still punish, but in a more humane way. We are living in a time of extreme violence. Every morning when we turn on the TV or we pick up the newspaper we don’t know what blast of violence is going to hit us in the face. I wanted to find a way to respond to this violence. I did not want to use a violent means to present the violence, so I was very careful in my film, to create a certain gentle mode if you like, a gentle way of telling my story. My story, if you look at it, it really is a story about breathing really. In a way, everyday, at every moment, we are breathing in some kind of poison: the poison of politics, the poison of violence, the poison of manipulations. In some way or the other, unfortunately, in the kind of world we live in today, we are surrounded by all kinds of poison. We breathe it in on a daily basis. But to me, the most important question became what do we chose to breathe out? For all this violence that we breathe in, do we chose to breathe out the same violence to bring even more violence into the world? Or, perhaps, we can choose instead to breathe out a song! That really is where the film comes from. In many ways that would explain, if you like, the gentleness and the poetry of the film. That is actually a fantastic story. For me, it was a great adventure. This community of Shamans in the desert, this is the desert of Rajasthan in the North West of India, there are actually people who are practicing healing through singing. But they are all men! I chose to change that in my film and have a woman instead. So the women in this community are not allowed to sing in public. They can heal and they can sing within the family and for relatives. It took me, I think, about 6 months of traveling there again and again and spending time with them before they would allow me to listen to the women. When I say listen, I literally mean listen, because I could not see them. I had to sit outside the house, behind a wall with my face turned towards the desert, however my microphone was turned towards the courtyard. Over two days, the women of the family would sing for me. Then when the women of the village heard what was happening more and more women started arriving and by the next day women from the surrounding villages started walking almost 2 hours to come and sing for me. That, Stacey, was heartbreaking! A very, very moving experience as you might imagine. 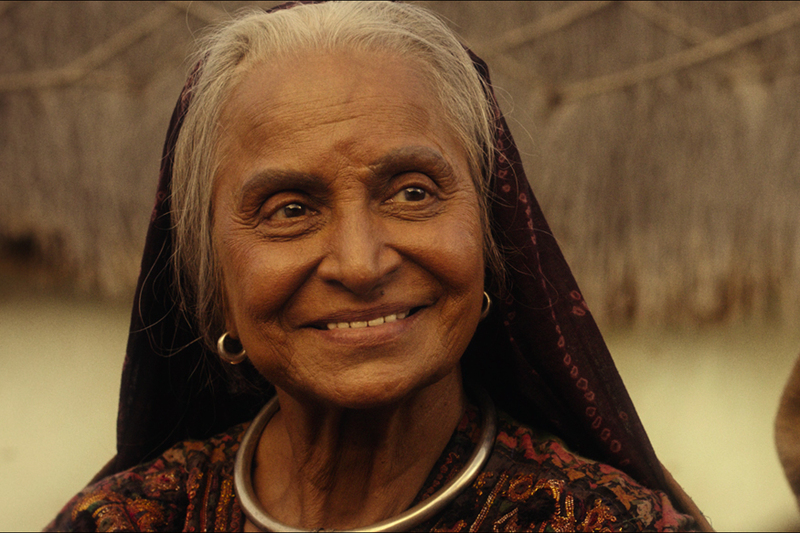 She is an actress in exile. She was exiled from Iran. When I met her that was one of the main things that we spoke about – her sense of exile. How she was not allowed to see her parents, never to return to her country, not to see her childhood friends. In fact, you know, she had lost her whole childhood in that sense. However, when she spoke to me, she spoke with great anger of course, but I did not feel any bitterness in how she narrated her tale. I was amazed by that – her sense of not being bitter and I asked her about it. She said, in fact, living in this exile had made her realize that she is not someone who can be defined by a nationality. That, as an actress, that makes her a really, really very, very free person, because now she can chose to be whatever she wants. Therefore, whatever held her back, let’s say her sense of culture, her sense of a past, that because she had been thrown out of it slowly she has released herself from those emotions – she felt she had become a much better actress. When I heard her say that I felt like she was talking about the character in my film. 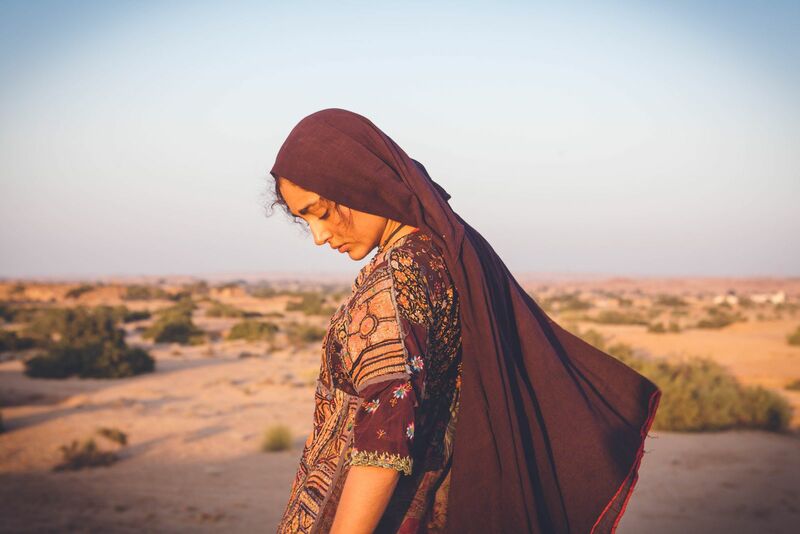 The character in my film Nooran, she in a way, is also exiled, exiled from her body that was taken away from her, exiled from her sense of space because her community turns against her, exiled from her sense of belonging. 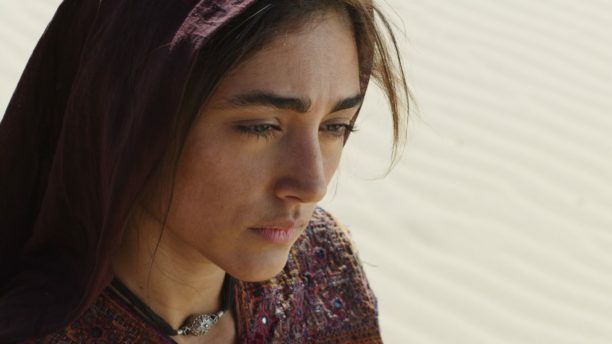 So when I heard Golshifteh speaking, I knew immediately that she understood my character from having lived it. From having lived the character in her own life. She really seemed to get deep inside the character. She is an amazing actress! One of the great joys of making this film was working with her. I must say that when she came into the desert, this wonderful actress, Waheeda, she actually brought a certain grace and a certain dance and a certain flourishing energy that brought great joy to everyone working with her. In a sense, she did bring bloom into the desert. I said, “Irrfan that is amazing.” Well, I just love him for that insight that he brought to me. I really hope that the film will speak to them on various levels. One, that they will say to themselves, that for more than 100 years of cinema we have been watching films of revenge. Almost every 5th film is about vengeance. Here is a film about revenge but here there is someone who refuses to take revenge in the usual sense. In fact, it brings life back into the antagonist. I am hoping that they will take this back with them and perhaps we, one by one, I don’t believe that a mass of audience can be changed, but perhaps a few individuals within the audience will take that feeling back with them and help us to create a gentler world. The other is, as you might have noticed in the trailer, is that the way the film is shot, despite the harsh tragic nature of the tale, I have shot it with the whole beauty of the desert and the universe surrounding it. Because I really believe that our life is much larger than certain incidences that happen to us. We can choose and we must choose always to see this great gift of the world that has been given to us. Now it is our duty and our responsibility, to bring back, well we can never bring back the same beauty to the world as it gives to us, but something that we can bring to it, something we can give is that we don’t always take from the world that we give something back to it. It is great collection of films. Almost all my films have been screened in London and to me it is one of the most exciting screenings compared to anywhere else. One, because my family lives in London, all my friends are there, so it is great to share my work with them because when you are shooting for a film you basically disappear from their life for about 2 years. Now you return and you tell them here is where I have been. The thing about the London audiences is that they see a lot of cinema. It is wonderful how they are able to be open about a variety of cinema. They are not always looking to be very quickly and with a great tempo involved with some drama. They are just as happy sometimes to watch the quality of life that a film can bring to you. The life that belongs to other people. The life that belongs to spaces where perhaps they have not been. Therefore, they are open to the rhythms that might not necessarily be London rhythms. They can be slow and gentle and take their time, as you would expect a film shot in the desert would be. The kind of work I do, many times, even if the films are different, there is a certain theme underlying them. As my actor Irrfan Khan says to me, all the time, despite the fact that I cast him in my last two films – he says all my films are really about women. I said to him, “Irrfan really, our third film together is going to be very different because it is about a male protagonist. They only thing is that he likes to dress up as a woman.” (Laughs) So there are certain themes that keep on recurring in my work and in that sense I think every film for me is a development of a kind of thinking that I live with. I think that is a very, very easy question to answer – for me. Let’s say you and I are having this conversation right now, we are talking about a particular film. We are in the space of let’s say journalism and we are talking about a certain festival where the film will be shown. Almost anything we do, we do within certain dimensions. They seem to belong to a certain space and time. If you look at a film, some films, not all obviously, if you look at a film for what are its possibilities, you realize that the dimensions in a film can be infinite. That we can keep growing on the space and time until we can move from a grain of sand to the whole cosmos. That is the beauty of this art we call cinema, where it is one of the few things that we have left that allows us not to define things, but to always open ourselves up to greater and more possibilities. To me, that is the thing about cinema that I would like to celebrate. I think every film is a gift especially for a filmmaker like me, because my films are not blockbusters. I never know if I am going to make another film after this. I have a great sense of gratefulness to all the people who help me make this film, who trusted me to make this film. I think this gratefulness and this sense of when a unit really works together and that we might never do this again, brings all of us very close together and so even after the film is done, we speak to each other on a daily basis. We know that we might never do a film together again, but just speaking to each other we are doing tiny little films together anyway. And you are making that little bit of beauty in the world, I would say. We are! We try. In our conversations, in the love that we have for each other, we try. I honestly can say that as I was talking with Mr. Singh there were many moments where I was completely moved and in awe of the story he was telling me. It truly was an honor to talk with him. I highly recommend The Song Of Scorpions. Let’s all help spread some gentleness to the world.